Ready for the onslaught of term 3? As school children New Zealand-wide are about to embark on Term 3 I’m taking a moment to send positive energy vibes to all families. Honestly, I don’t know how you do it. I sit down with a number of families and discuss the practicalities of eating well in amongst the busy-ness of every day and my head spins. Parents have to negotiate morning wake-ups, sport training and school drop-offs, school pick-ups to be delivered to sport training (if not two of them) and home, shower, dinner, homework, bed at a less-than-ideal hour, rinse, repeat. I’m exhausted thinking about this. Nowadays there appears to be increasing pressure on kids to perform. Not just in the classroom, but with extra curriculum activities in 2, 3 sometimes 4 different sports, music and then, if that’s not enough, additional classes at the beginning or end of the school day for those kids who do excel academically. Is it just me, or is this different to when we were at school? Perhaps it was my school – I vividly remember Mr Dickel telling our class in third form that he didn’t expect us to perform on the sports field, as we excelled in the classroom. I’m not saying this is a good thing – clearly it’s not – but it feels like the demands on kids across all age spectrums are increasing, which is absolutely in line with how adults experience the world in which we are in. I think it’s great that kids have the opportunity to try out a number of different creative and sporting outlets, and there are so many more opportunities than when I was at school. However it’s so important to ensure they have the resilience to withstand these busy schedules, and this relies on having a strong immune system as governed by the health of our gut and gut bacteria. That is particularly challenging in today’s environment, as evidenced by the growing numbers of health problems among the younger population and the treatments available for these. Our exposure to medications used to treat and prevent common colds, flus, asthma, sprains and strains related to sport have consequences for the gut microbiome, disrupting the gut cell structure and increasing permeability of cells. Our diet also has the ability to influence the gut microbiome and vice versa; indeed it’s not just what we eat that influences our gut bacteria, but gut dysbiosis plays a large role in the ability for us to absorb and digest the calories and nutrients that we eat. While the finger is pointed firmly at the toxic food environment as the main player in the increasing numbers of children in poor health, there is an association between the gut microbiome and metabolic disorders. The underlying contributor to this is insulin resistance, a precursor to inflammation, overweight, obesity, diabetes and a number of other health conditions, including polycystic ovary syndrome (PCOS), of which an increasing number of girls are being diagnosed. The treatment for this (and other hormone-related conditions)? The oral contraceptive pill (OCP), described as a ‘safe and effective’ treatment with no long term consequences. But all medications come with side effects, and the OCP is no different. There is also a mechanism by which the OCP affects the gut microbiome through the inflammatory effects of an oestrogen-mediated pathway, and a higher risk of inflammatory bowel disease and Crohns Disease in those using the OCP. The gut is also affected by lack of sleep. Children aged 10-14 years require 9-10 hours of sleep per night, and 15-18 year olds would ideally get between 8 and 9 hours. Research in New Zealand shows that over a quarter of teenagers are getting less than 8 hours sleep a night. 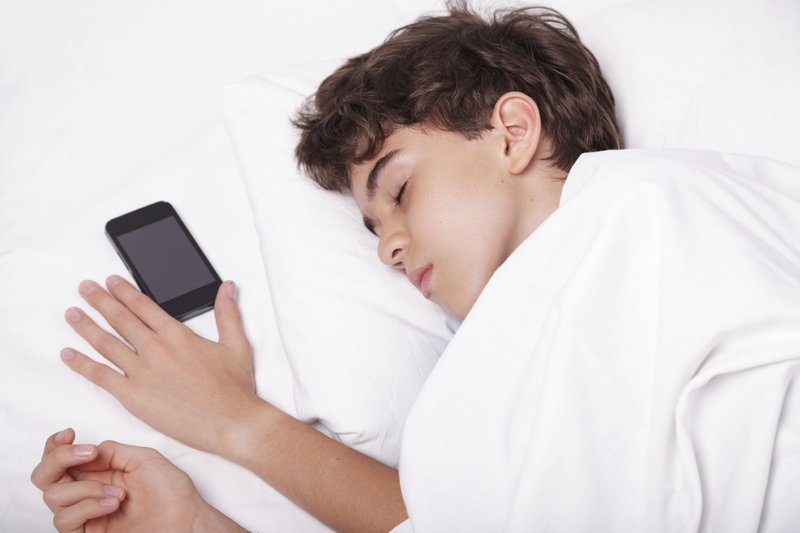 The increasing use of smart phones, tablets and televisions in the bedroom disrupts melatonin production. As this is an important hormone for sleep, sleep deprivation due to a lack of restorative rest is another issue outside of just getting to bed at a reasonable hour. Even acute sleep deprivation increases insulin resistance and can elevate cortisol levels. These are interlinked and over time could leads to hormonal dysregulation, impacting on more than just the ability to get a good nights’ sleep. Inappropriate insulin and cortisol responses leads to high blood sugar, fat storage and upgregulation of inflammatory pathways. Finally, and importantly, physical and psychological stress has adverse effects on our gut health. The problem though, is that – like the high achieving type A adults I see in my clinic – high achieving kids are unlikely to perceive their busy-ness of life as ‘stressful’ for much of the time. This may well be the case, however this ability to ‘thrive’ on stress does not mean the body doesn’t respond with an elevation of the same stress hormones. The ability to truly thrive in this situation relies on having adequate recovery. This may be fine at the start of a school term, but any parent can see how this changes as the weeks unfold, and the cumulative effects of a busy life takes its toll on all involved. I’ve mentioned a number of mechanisms by which the gut – the gatekeeper of our immune system – is affected by lifestyle (and, really, I’ve only scratched the surface). I’m seeing an increasing number of children in my clinic for fatigue-related, metabolic-related, gut-related health issues and the things I’ve touched on are common place in this population. How many of these may also be a consideration for you? While it’s beyond my scope of practice to recommend anyone come off medications (that’s a conversation for the general practitioner) I can obviously help with dietary related strategies for the gut and typically make recommendations around lifestyle for clients (including suggestions such as restricting electronic devices in the evening and make them off-limits in the bedrooms). How did you feel at the end of term 2? How were your kids? Is it worth considering doing things differently if the status quo leaves everyone absolutely slammed come the end of the term, and requires the two weeks of holiday to just recover before you do it all over again? Perhaps.